"What a pleasant little airport"
✅ Trip Verified | What a pleasant little airport it is! Direct access, short lines and little stress. Of course, I was visiting in off-season, and flying at non-peak times. As a result, there was only one operating food and beverage outlet with exhorbitant prices (€4,50 for a Coke Zero!?) and stale selections, and the duty free was limited to a very small single shop while areas of that were even closed off, all understandable due to the time of travel. Security for me was a breeze, although if there had been several flights at the same hour it could possibly have been a messier experience. The bus-and-stairs experience (no jetways at this airport) are typical of island airports in the region and thus can't be counted against Heraklion, either. The toilets (not many, but clean) were also not horrible or unsavory. Baggage retrieval and checking in were easy, airport staff was generally very courteous. If I had been able to travel directly to Heraklion (thus avoiding awful Athens), I would happily have done so. Perhaps I will next time by traveling in high season when there are a lot of direct flights. ✅ Trip Verified | Crete is a beautiful island and the people warm and friendly. 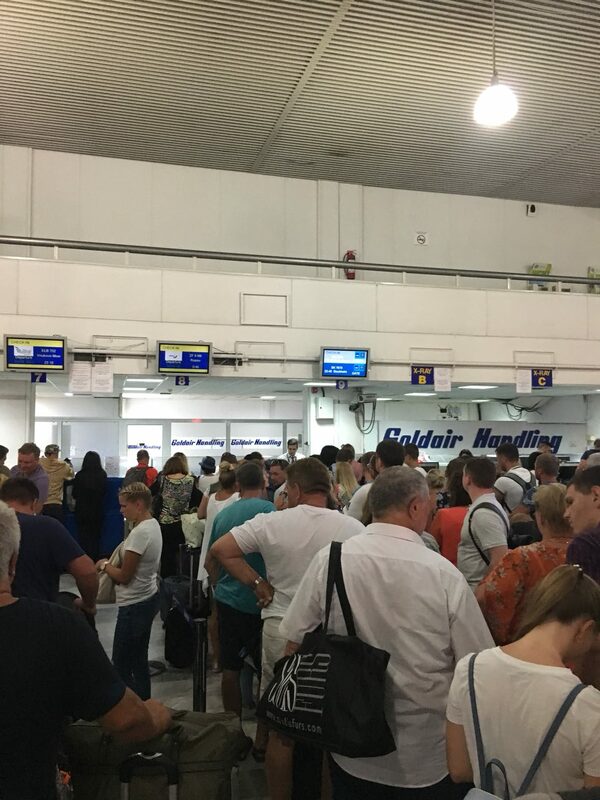 Heraklion airport is another story sadly, duty free shop totally overwhelmed by 3 plane load of people wanting to pay for their items and only 2 people on the till it was chaos, many people gave up because the queues were terrible. 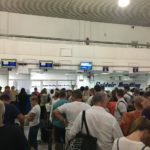 "Won’t be visiting Crete again"
Not Verified | This has to be the most unorganised and unprofessional airport I have ever experienced. Passport control was a “gentleman” and I use that term very loosely that never even glanced at our passport and passed us through with a growl and a shake of his hand. Staff at the gates shouting across passengers at each other, not enough seats for everyone, some people young and old having to sit on these filthy floors. Not an experience I want to repeat. Won’t be visiting Crete again. ✅ Trip Verified | Deplorable, arrogant and inefficient staff. The airport seems to have been modernized, but in fact, more space has been made for shops and commerce and we do not care about passenger comfort. The airport has become too small compared to the number of passengers, however, it was in October. I would not want to spend in high season. Several changes of allocation gate gates and movements of crowds. Dirty toilets and smells. Ashamed! | Déplorable, personnel arrogant et peu efficace. L'aéroport semble avoir été modernisé, mais en fait, on a fait plus de place pour les magasins et commerce et on se fout du confort des passagers. L'aéroport est devenu trop petit par rapport au nombre de passagers, pourtant, on était au mois d'octobre. Je ne voudrais pas y passer en pleine saison. Plusieurs changements d'attributions de portes d'embarquement et de mouvements de foules. Toilettes sales et odeurs. Honteux! 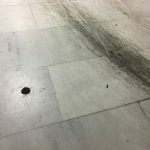 Not Verified | As soon as the Thomas Cook rep told us not to blame them for the airport, we suspected we were not going to be walking through the garden of Eden but wow that is a manky, badly-run airport. Chaos outside on arrival, saw a couple stray dogs running about in amongst the mad traffic, partner nearly got knocked down by a bus too. Inside little better, security did minimal checks and I saw one member of staff barking at a passenger to empty his pockets, other staff allowed through someone with massive quantities of toiletries and seemed to pay little attention to the contents of the bags. There was nowhere to sit at the gates, and the toilets were possibly the worst I’d ever seen in europe! Poor mother had to change her baby’s nappy by the sink and there was no loo roll to be seen. Truly awful, especially when you just want home. Surely they can see how damaging this is to Crete’s busiest airport - clean up your act!! "old and dirty and miserable"
Not Verified | This airport is the worst I have ever been through! Arrived in a Friday evening and has to take the bus from the plane to the terminal. As with most airports nowadays these buses are overcrowded and border on dangerous when the bus stops with any degree of braking as everyone lunges forward along with their luggage. Into baggage reclaim and it was the most depressing sight. Very old and trted, gray walls, miserable staff and almost 30 minutes waiting for luggage! The return journey was worse! This building is not air conditioned and is very hot. We asked a female member of staff where the Jet2 desk was located but she wasn't interested and kept looking at her mobile phone. We found the departures board and watched and waited for our flight details to show. Said details never arrived! My husband found out where we had to go purely because he overheard another passenger talking about the Jet2 flights. We found a Jet2 rep and we were told to join the queue outside! So we left the building and joined a very long queue to get back inside! Jet2 staff to be fair were very helpful but I think someone should have made an announcement telling their passengers how to check in! So we checked in and went through security. I picked up a plastic tray to put my belongings in and I was immediately yelled at to put it down! I was then handed a tray by a stony faced woman who I suspect has never had a day's fun in her life! Onwards to the gate and the heat was oppressive in there. I went to use the bathroom and I was disgusted! The floors were filthy, there were no toilet seats and the toilets were covered in urine. There was no toilet paper, no hand soap and no towels or hand dryers! Yet the duty free area has recently undergone a multi million Euro facelift! 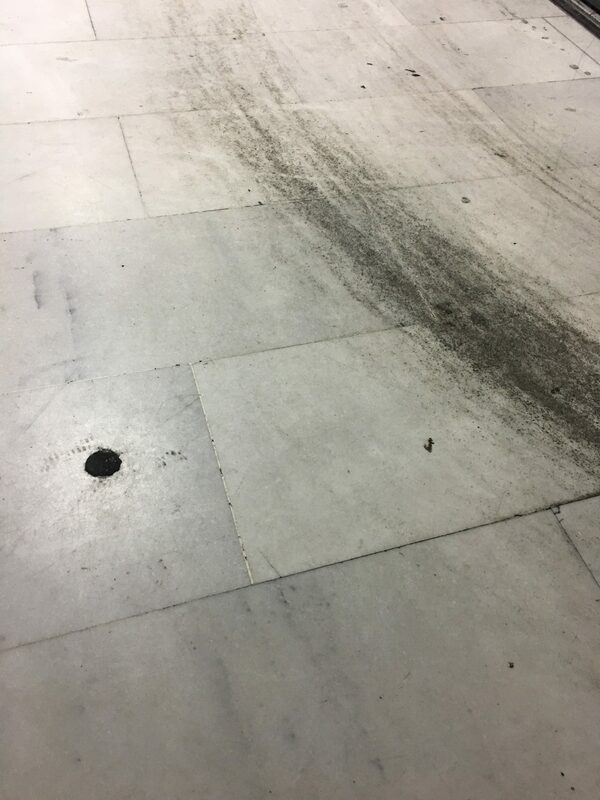 This airport is old and dirty and miserable and I hope I don't ever need to use it again! "Security staff are rude, arrogant"
✅ Trip Verified | Arrival. We could not fault the slick arrival at the Airport, Ok flight was 10 minutes late arriving and we were lucky the aircraft was not parked miles away but on a parking stand near the terminal. We had the luxury of having two sets of stairs. So this meant a faster disembarkation from the aircraft straight on to waiting coaches for the short ride to the terminal. Passport control was swift and so was the baggage collection, in fact from the aircraft coming to a stand still on the parking stand to getting in a Taxi to the hotel it took 20 minutes and that included the other half visiting the toilet, Which she said were clean. We had taken up the offer at Luton of putting our hand luggage in the hold at the gate due to the flight being full and they said it would be priority and the first bags off at the other end. Departure Well, where to start, as we had checked in online we did not need to use the airport check in desks. On the return, we took a gamble and decided to risk taking the hand luggage with us. Security staff are rude, arrogant, I had taken out all my electronic equipment, keys, coins, belt, watch and offered to remove my trainers to pass though the arch as they from experience set off the alarm. But the security officer said there is no need but after walking though and the alarm sounding and having a pat down and re-scanned with the wand and the alarm sounding, again said that it was my trainers and was told it could not be. So they called their senior who agreed with me that it could be the trainers. Which they re scanned. They then said that you could not take a metal key fob on board which was one brought in Crete in the shape of the island. Departure Lounge, yes there are plenty of seats if you can grab one, we discovered a little trick. The airport operates one runway so they may have 5 fights arriving and 5 departing in a 30 minute slot, So if you know from looking at the departure board you will see at the B gates which are the ones where the UK flights are boarded and hang around by the entrance to passport control. When gates are all full the passport control is empty and so are the seats. 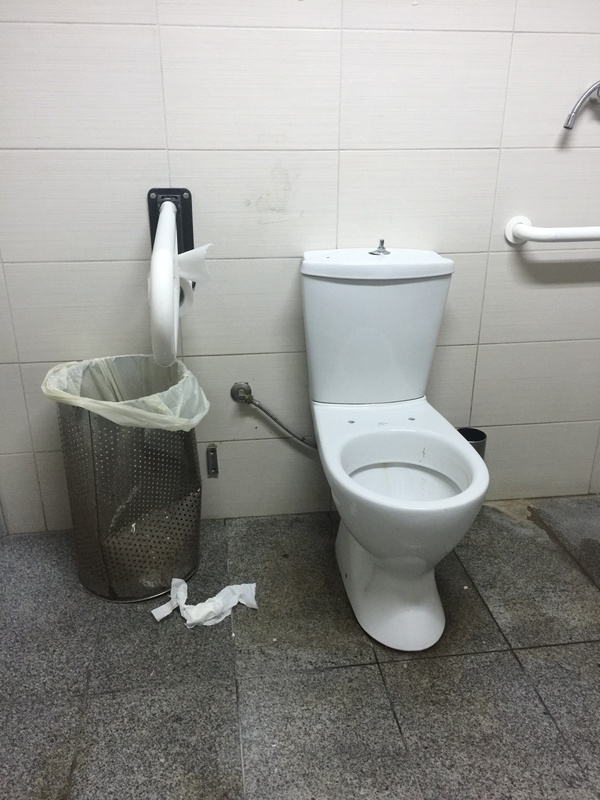 Unlike most airports the toilets are dirty, disgusting, poorly maintained and a downright disgrace. Also missing apart from loo roll is the check sheet saying that they have been checked hourly, so judging by the state I would think they are checked daily/weekly/monthly? Who knows. Yes we did see cleaners in the departure lounge but they seem to have a game of cleaning the gates when they are trying to board aircraft. The tanoy announcements are inaudible due to the staff shouting into the mic. The number of people we seen going to ask what the tanoy said and people trying to board wrong aircraft was like something from a carry on film. Then while waiting at the bottom of the stairs the staff have a little game of open the door and close the door. ✅ Trip Verified | Disgusting, dirty, filthy, unorganised, disgrace to Greece, and public health hazard. That is just the toilets. The Airport is working well over capacity and ruins many a holiday. 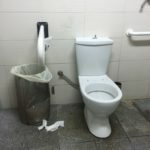 The toilets were in a disgusting state and judging by the number of complaints and reviews on this and other websites and trade press have not seen a cleaner for at least a year. The airport has allowed the word famous cowboy ground handling outfit Swiss port on the the airport which has meant they are constantly failing to achieve the low (non existent) level of customer service the company has become world famous for. Check in is not even organised chaos it is like something out of a silent movies of the 20s. With desks constantly changing and queues moving to other desks. Security would appear after you go though the check to the actual scanners to be run by TSOs who are down right arrogant and rude and treat traveller like something you find on the bottom of your shoes. Mind you if you have had the so called pleasure of using the toilets you may well have some on them. Then like most airports you have the gauntlet of the duty free shopping mail to walk before you find the only monitor displaying the gate information. Given the operating capacity of the airport, and the 11 departure gates. There is a quick turn round of the gates which the airports world famous ground handling company Swissport seem to be able not to manage. Their staff seem to think to use a tannoy system you need to should into the microphone, by shouting all they do is distort the message they are trying to get over. Yes, you have guest it this leads to chaos which the company are world famous for. When is IATA going to revoke the license to operate? While waiting air side I witnessed departure gate queues been barged though by cleaning staff and they were trying to mop the floor why people were trying to board aircraft. Last night the gate for our EasyJet flight was controlled by someone who claimed to be a supervisor who not concept of how to board an aircraft and that people had paid for speedy boarding, had easyjet plus or young children. However she just managed to grasp that there were wheelchairs. Once though the gate we had the pleasure of the swissports new game of are we boarding or are we not boarding. One staff member at the doors would open and one would close, after 20 minutes they started to board the coach which had pulled up. Then after the aircraft had boarded we had the pleasure of Swissport delivering the wheelchair passengers to the aircraft delaying the already delayed flight further. The scenes last night were more like a carry on movie than a professional airport. I would if I was the Airport General Manager consider a career change as you are not capable of running an airport even a Lego City one, the airport by its non existent management must ruined many peoples holidays, maybe the airport is on a list to be taken over by Manchester Airport Group who take pleasure in running airports into the ground. Not Verified | This has to be the worst airport terminal I have ever used. Nothing works. Toilets are disgusting dirty and flooded with urine. Check in is a nightmare, flew with Tui and had to wait outside for 2 hours as the check in desks were having problems. When we did check in the queue lengths were horrendous, then on top because no belts worked we had to take the to a manual x-ray station. On the plus side they must have spent millions on the duty free as that’s very clean. Departure longe is clean but don’t expect a seat, while you wait. Will I return to it in a hurry, no.